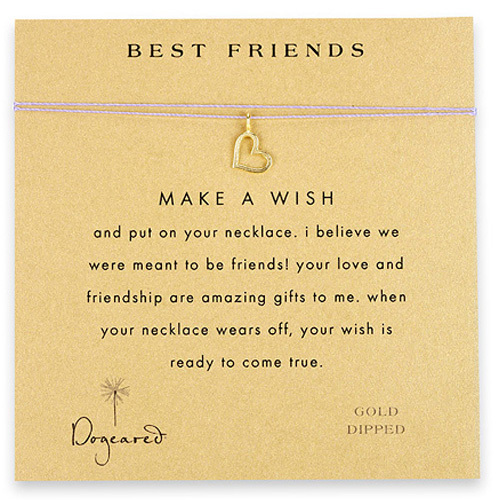 Dogeared Best Friends Necklace. Make a wish and put on your necklace. Card Message: I believe we were meant to be friends. Let your necklace be a daily reminder that your love and friendship is an amazing gift to me!